Hosted environments can now be created using Linode. Hosted environments can be used as a development environment for use with or without a Git repository. The latest update also comes with full Git integration, more about that later. 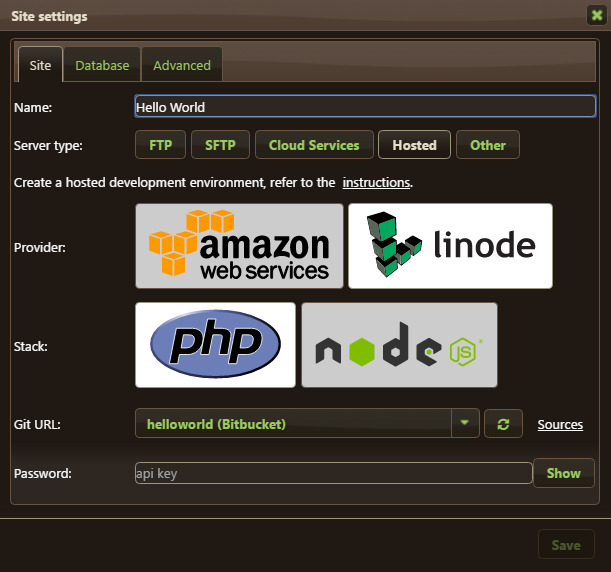 The Linode environments come with full terminal and sudo access. Find out more about Hosted environments with Linode.